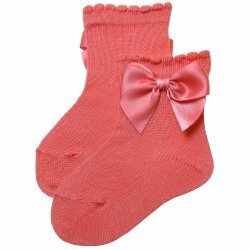 Good quality stay in shape well knee high socks for babies and toddlers girls. 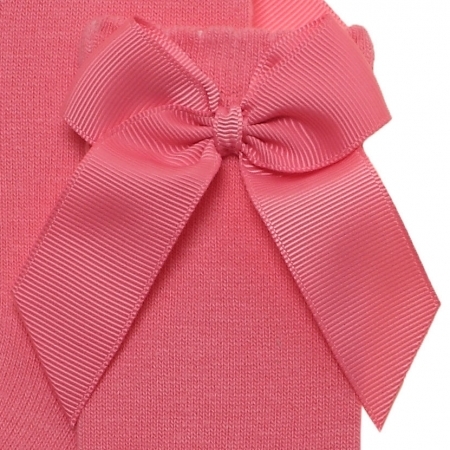 The bows on the sides are in gros grain ribbons and not satin ribbons. Scallop edge opening is gently elasticated and very good at keeping its shape. 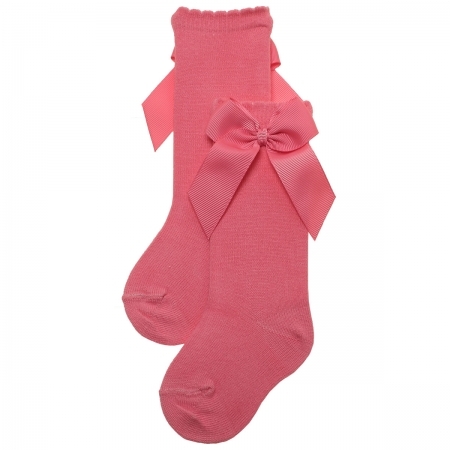 Nice and soft 78% cotton 20% polyamide 2% elastane material. Made in Spain by Carlomagno socks and tights. Please use sizing guide below to choose the correct size.